There has been growing attention placed on the role of female run and managed business in the global economy due to the increasing emphasis on gender equity. Despite the importance of female entrepreneurship, there has only been recently increased research attention devoted to entrepreneurship in the context of female entrepreneurship dynamics. 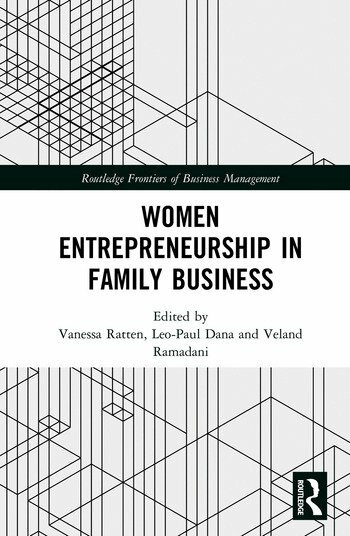 This edited book examines female entrepreneurship and internationalization from both a practical and policy perspective and looks at the role of female entrepreneurship in the global economy. 3. Women-Led Enterprises in Germany: The More Social, Ecological and Corporate Responsible Businesses? Vanessa Ratten is Associate Professor of Entrepreneurship and Innovation at the Department of Entrepreneurship, Innovation and Marketing, La Trobe University, Australia. Leo-Paul Dana is Professor of Entrepreneurship at Montpellier Business School, Montpellier, France. Veland Ramadani is Associate Professor of Entrepreneurship and Management at the Faculty of Business and Economics, South East European University, Macedonia.